Kolkata: The country's mutual fund industry is seeking tax sops from the forthcoming Union Budget. "The industry has asked for separate concession over and above the Rs 1.5 lakh deduction under section 80C for ELSS and National Pension Scheme," industry body AMFI Chairman Sundeep Sikka said Wednesday on the sidelines of the ICC organised mutual fund summit. "The need for industry is long term money. This (additional concessions) will boost long term flows into the capital market," he said. "The Finance Ministry should also consider tax concessions for unit linked pension plans under section 80CCD of the Income Tax Act," Dinesh K Khara, Managing Director and CEO of SBI Mutual Fund said. Kolkata - With coal production increasing over six percent and offtake at only 3.2 percent during the year, logistics and coal evacuation comes into core focus for Coal India. "Evacuation is growing at 3.5 percent while, production is growing at more than 6.7 percent till January 6 this year. Unless there is evacuation, what is the point in production," Coal India Chairman Suthirtha Bhattacharya said. 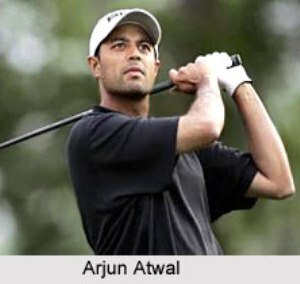 Kolkata : It will be a special homecoming for Indian golfer Arjun Atwal, who recently won the Dubai Open, when he tees off at the prestigious Royal Calcutta Golf Club (RCGC) for the Rs 1.5 crore McLeod Russel Tour Championship, here on Thursday. Atwal, who battled career-threatening back injury and earned his first career victory in four years clinching the Dubai Open title, will be the star attraction in a field that boosts of the likes of Gaganjeet Bhullar, SSP Chowrasia and Rahil Gangjee -- all playing on sponsor's invite. Kolkata, Nov 13 : India's opening batsman Rohit Sharma made history by becoming the only batsman to score a double ton for the second time, as India set up Sri Lanka a massive target of 404/5 in their allotted 50 overs in the fourth ODI of the series. Sharma was brought into the match to help him improve on his form, replacing Shikhar Dhawan in the dead rubber. Sharma hit a massive 264 of 173 deliveries. His mountainous innings included 33 fours and nine sixes. 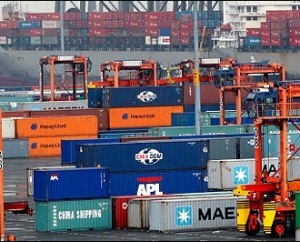 Kolkata : Two-way trade between India and the US is poised for "exciting times" at this juncture and has scope of increase in bilateral trading volumes, a US official said Monday. "This is an exciting time of trade between India and the US... There is a huge possibility of increasing bi-lateral trade between the two countries. Economies are huge and so the opportunities of cooperation are endless," US Foreign Commercial Service's newly-appointed Principal Commercial Officer (PCO) Matthew Hilgendorf said here. Kolkata: The state-owned airport operator Airports Authority of India (AAI) is planning to develop 50 new low-cost airports across the country to cope with the growing air traffic. Announcing this at a conference on Communication, Navigation and Surveillance systems (CNS), AAI Member (Operations) G K Chaukiyal said that the low-cost airports would be built over 10 years in an effort to reduce the cost of operation. Kolkata: The US Ambassador Charge d' Affaires ad interim to India Kathleen Stephens on Thursday stressed the need for strengthening the relationship with India. "We have to work on sustainable economic growth. President Barack Obama said that the US needs to have a good relationship with India. I believe relationship should be strengthened. We have relationship for centuries," she told reporters at 'Nabanna', the West Bengal state secretariat. "I believe our best stage is still to come. We have a common goal. I am honoured to be here," she said. Kolkata: West Bengal Chief Minister Mamata Banerjee will pay a six-day visit to Singapore from August 17 at the country's invitation for improving business and cultural relations. This would be her first foreign visit after assuming office in 2011. She would be accompanied by a 'very high level' official and business delegation and would use the opportunity to attract foreign investment to the state. Briefing reporters on her visit, state Finance Minister Amit Mitra said the Singapore Foreign Minister K Shanmugam has invited Banerjee to improve relations and she has accepted it. Kolkata: FMCG company Britannia Industries Limited is planning a capital expenditure between Rs 150 crore and Rs 200 crore over the next two years, its chairman Nusli Wadia said. "We are going to finalise our plans for a capital expenditure of Rs 150 crore to Rs 200 crore over the next two years," Wadia told shareholders at the company's AGM Tuesday. Wadia said the capital expenditure would be made on two counts - upgradation and innovation and for creating new capacities. He also said that the company was willing to have a good market share in the SAARC countries. Kolkata: Ajay Devgn, who is back as a tough cop with "Singham Returns", has said that his character Bajirao Singham is nothing less than a superhero. "He is like a real superhero. Our culture is such that we don`t need a lot of back up to become superheros. The character is already larger than life," Devgn said. He was asked to compare his character Singham, who fights against evil forces in his own fiery style, with other superhero films like `Superman` and `Spiderman`. Kolkata: Trying to walk into the footsetps of her mother-in-law and veteran actress Sharmila Tagore, Bollywood actress Kareena Kapoor is now considering acting in Bengali films. 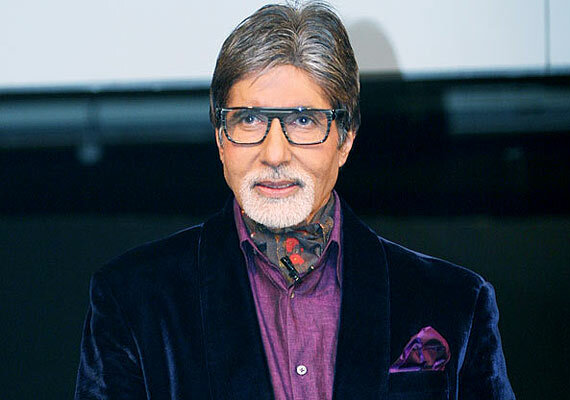 "I have been offered a Bengali film and I am thinking about it. I love the way Bengali directors project their heroines beautifully and aesthetically," Kapoor told reporters. However she didn`t disclose details of the Bengali film which she is considering. Admitting that she is a great fan of the late Bengali directors Satyajit Ray and Rituparno Ghosh, the 33-year-old said she would love to act in Bengali films. Kolkata: Marine biologists have discovered a jellyfish lake in Gujarat, probably the first such in India. "This is probably the first jellyfish lake to have been found in India. The concentration and density of jellyfish is very high here. You can even see them from outside during low tide and when the water is clear," wildlife scientist B C Choudhury said. Led by him, a team of researchers from the Wildlife Trust of India have recently stumbled on the jellyfish habitat during a routine field visit to a small town named Armabada in Gujarat. Kolkata: The Reserve Bank of India (RBI) would soon come out with policy guidelines for differentiated banking licenses which would be given on tap, deputy governor of the apex bank R Gandhi said. "The RBI will soon come out with policy guidelines in differentiated banking licenses within a short period of time", Gandhi told reporters on the sidelines of ICC Banking Summit here today. Kolkata: The West Bengal government will provide space to banks in order to set up new branches in Gram Panchayat offices in villages, with the view to promote financial inclusion. "The government would give space in the offices of Gram Panchayat so that banks could set up brick-and-mortar branches in the rural areas which will promote financial inclusion," state Finance Minister Amit Mitra told reporters on the sidelines of ICC Banking Summit here today. He said that banks would be offered typically spaces of around 400 square feet.